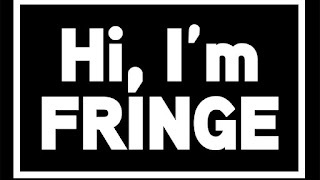 Did you have fun meeting Fringe? From energetic musicals to inspiring dances and powerful performances - we all got to know Fringe together. And, last night the award-winning productions were announced! Two new awards were given out to recognize people and/or organizations making a difference in the DC independent art scene: Community Connector and the Trophy of Epicness. Also for the second time since the festival’s inception, there will be an extension week featuring successful festival productions. Come together with audiences and artists to celebrate another successful and entertaining Capital Fringe Festival! At the award ceremony, the Pick of the Fringe Audience Awards and Director’s Award will be presented to extraordinary artists of the Festival. Fringe is also expanding their awards this year to include two new awards given to those making a difference in the D.C. independent art scene: Community Connector and the Medal of Epic-ness. The Inspiration Award was presented to banished? Productions (http://banishedproductions.org/about.) For their 10 years of inspiration they have injected into our community and their unique brand artistry. Fringe kicked off their relationship with banished? Productions in 2007 with bobrauschenbergamerica. We will never forget their Tactile Dinner, cart perched under the tent at the Fort. And, The Circle, meandering its way around the Carnegie Library lawn. Their show, she took me back so tenderly, a part of this year’s festival was their final production. We salute their unique voice and are left in their wake inspired. The Community Connector award was given to the artists at 411 Union Arts for their collective voice that raised the awareness for space for mid-level and amateur artist in D.C. The artists at Union Arts will soon be displaced due to the development of an arts-themed hotel. This award is give to Dan Logan for his support not only of Capital Fringe but other groups ranging from Mosaic Theatre to The Welders. It takes a wise funder to fund what is uprising from the underbelly - we salute him! At Capital Fringe our focus is on expanding audience’s appetites for independent theatre, music, art, dance and unclassifiable forms of live performance and visual art. Capital Fringe is a catalyst for cultural and community development, and a destination that brings artists and audiences together. Capital Fringe thrives on amplifying the vibrancy of DC’s independent arts community and enriches the lives of those who reside, work and visit here. As a non-profit business Capital Fringe is made possible by: Reva and David Logan Foundation, Nora Roberts Foundation, DC Commission on the Arts and Humanities, The City Fund, Dallas Morse Coors Foundation, Prince Charitable Trust, Morris & Gwendolyn Cafritz Foundation, Share Fund of the Community Foundation for the National Capital Region, MARPAT Foundation, DC Public Library Foundation, PNC Bank, Fringe Board of Directors and Fringe individual donors and members.